Kaitlyn Dunnett/Kathy Lynn Emerson here, today blogging about a topic that came up in the Q&A session after a panel I was part of not too long ago. The gist of the question was: why do so many cozy series (and not just cozies) begin with the sleuth returning to her old home town after X number of years away? Unspoken may have been another question: why do you writers keep using this tired old device? Well, yes, I have to admit that many of us have begun book one in a series with this particular set up, but there is a good reason for it. 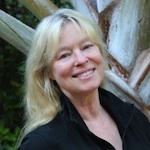 In fact, if you look at most mysteries—heck, look at most novels!—there are only three choices a writer has about the setting in relation to the protagonist. One is that the character is a long-time resident who already knows a great deal about the other characters. Miss Marple comes to mind. The second is that he or she is a newcomer to the area and therefore experiences people and places for the first time and brings an outsider’s perspective and a fresh point of view to the story (and to solving the crime). The third choice is to use a protagonist who has returned to a place she once knew well. To my mind, choice #3 has huge advantages over the other two because this situation combines the best parts of both of them. The sleuth has a certain degree of familiarity with people and places and is not dealing only with total strangers. At the same time, things have changed while she was elsewhere and she will need to rely on one or more of the characters who stayed behind to help put the pieces of the puzzle together. I would argue that this plot device can’t be overused simply because there are so many variations. The reason she comes back is probably the biggest one. In my Liss MacCrimmon series, it is because Liss has suffered a career-ending knee injury and needs a place to recover and decide what she’s going to do next. She was a professional Scottish dancer. 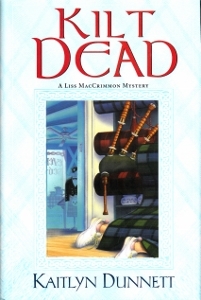 In the first book in the series, Kilt Dead, she fills in for her aunt by running the family business, Moosetookalook Scottish Emporium. 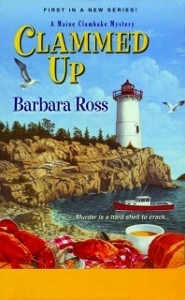 For Barb Ross’s sleuth, Julia Snowden, in the Maine Clambake Mysteries, it is a family financial crisis that brings her back to Busman’s Harbor, Maine, while in Lea Wait’s Mainely Needlepoint Mysteries, Angie Curtis returns to Maine in response to a phone call from her grandmother telling her that her mother, who disappeared many years before, has been found. That is also the murder Angie must solve. The death of a parent or grandparent and/or an inheritance to be dealt with is what brings many protagonists back home (or at least to a place where they spent part of their childhood). In Molly MacRae’s Haunted Yarn Shop Mysteries, Kath Rutledge receives a twofold inheritance from her grandmother—the yarn shop and the onset of hereditary psychic abilities. The first of Julianne Holmes’s Clock Shop Mysteries sends a grieving Ruth Clagan to deal with her grandfather’s business in a town where she spent many of her summers. The debut of Cheryl Hollon’s Webb’s Glass Shop Mysteries has Savannah Webb taking over the family stained glass business. On the surface, these set-ups sound similar, but they contain a great deal of variety, and not just in the type of store their protagonists inherit. The character of the home town varies as widely as the emotional baggage the sleuth brings with her when she returns to a once familiar place. Coastal Maine and the Western Maine mountains are different worlds. Blue Plum, Tennessee is not Orchard, Massachusetts. Nor is it Athena, Mississippi, the setting for two series by the prolific Miranda (aka Dean) James. In the Cat in the Stacks Mysteries, Charlie Harris, a librarian, has returned to Athena after inheriting a house from his aunt. When I started work on an idea for a new series, it never occurred to me that I was repeating myself by having the new sleuth return to her old home town. In fact, going back is kind of the point of the book. 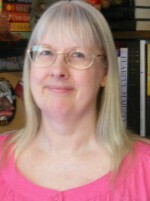 Mikki Lincoln is a woman my age (sixty-eight) who moved away right after high school. It’s an invitation to her fiftieth high school reunion that gets her thinking about her old stomping ground. 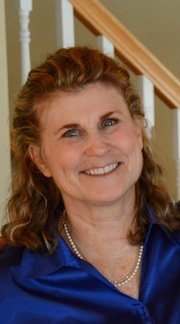 A recent widow, she sells her home in Maine and heads for the rural New York state community where she grew up. In fifty years, there have definitely been changes. She’s in familiar territory . . . and yet she’s not. For an amateur sleuth, that seems to me to be the best of all possible worlds. 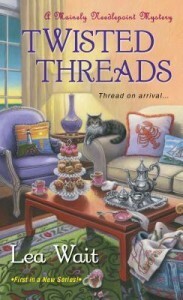 This entry was posted in Kaitlyn's Posts and tagged Barbara Ross, Cat in the Stacks Mysteries, Cheryl Hollon, Clock Shop Mysteries, cozy mysteries, Haunted Yarn Shop Mysteries, home towns, Julianne Holmes, Kaitlyn Dunnett, Kathy Lynn Emerson, Lea Wait, Liss MacCrimmon Mysteries, maine clambake mysteries, Mainely Needlepoint Mysteries, Miranda James, Molly MacRae, plot devices, Webb's Glass Shop Mysteries. Bookmark the permalink. 15 Responses to Back to the Old Home Town: Why is this plot device used so often? I agree with everything you’ve said, Kaitlyn. I wanted to start with my sleuth in motion, in the process of coping with a major life change. These are so often the interesting parts of our lives. But it was really the insider/outsider perspective I was after. I’m not a native Mainer and knew I couldn’t write as someone who had lived there all her life. Julia’s 16 years away (as well as her parents marriage–a summer person to a local–which meant she felt she never ‘fit in’) allow me that outsider perspective that is such a useful place for a writer to stand. Helps with conflict, too. Your set up with using two sisters (and a brother-in-law) is perfect to showing the contrasts. Thank you for mentioning the series in such great company. Part of what I am wrestling with in the series is the changes Ruth finds in Orchard, and how she is trying to navigate them. I am grateful for the set up. Setting is so much more than a place. “Setting is so much more than a place.”–I like that! Spot on analysis, Kathy. Your books and those of some of the others you mention who I have read (Barb, Lea, Julianne) use the back-to-your-hometown device in a deft and convincing way. It’s fun, too, to be able to write about the familiar. We all are products of our childhood/adolescence, especially when (as in most cases) those times in our lives were not idyllic. Bringing someone back to face memories or consequences of who they were then to me is potent, emotional, material … it makes sense to deepen a character by incorporating backstory within current plots. But the device can be mishandled, as all patterns can be. Thanks for thinking this through, Kathy/Kaitlyn! Good point, Lea. And I think, too, that for those who look at the past through rose-colored glasses, there can be some rude awakenings when faced with the reality. Great observations, Kathy. So is the new series a go? I will read it! Thanks, Edith. Nothing is “official” yet. You’ll hear all my publishing news here first when I am able to share the details. I don’t know about anyone else, but it takes me forever to get from first brainstorm to anything coherent enough to send to my agent, let alone to the point where the proposal is ready to be submitted anywhere. I started noodling this idea about a year and a half ago and didn’t get it into decent shape until early this year. From the first submission to an offer to buy to me holding an actual contract in my hand is another long, slow process. But soon, very soon, I hope, I’ll be able to talk more about this new project as well as the future of the other series I’ve been writing. Looking forward to that happening, Kathy! I like a good microcosm and I like the tension that a fish out of water immediately brings to them. That’s probably why I gravitate toward small-town mysteries with protagonists who’ve returned after an absence. Small-town mysteries make the world navigable, and I enjoy learning my way around that world and confronting it or stumbling through it through the eyes of a familiar stranger. You’re right, Kathy, these are stories that can be told and written in so many different ways. Thanks for mentioning mine in such lovely company! You’re welcome, Molly. You know I love your series, and I’m looking forward to the new one.